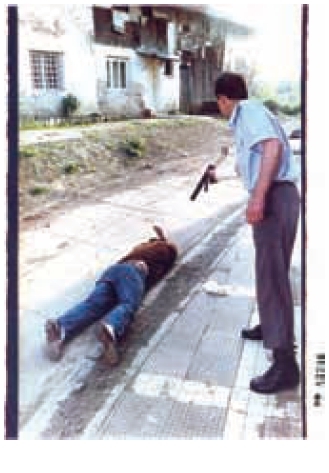 GASNICI, Croatia — Ismet Hrustanovic had an inkling something was going on in his back yard. The engineer’s puppy started yelping. Twigs and leaves crunched under the heavy feet of men in boots. 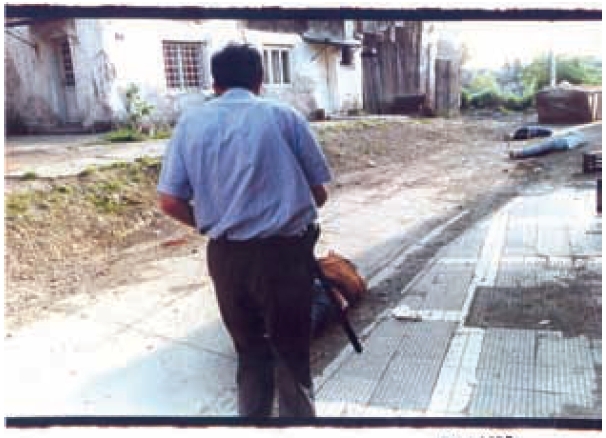 Next, a fusillate exploded into his two-story house. 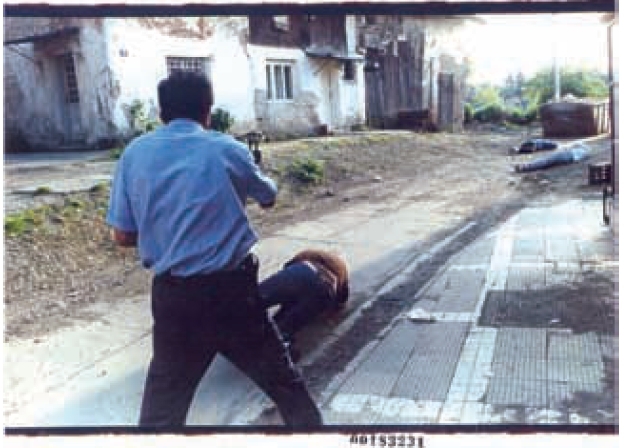 One bullet passed through his nose, into his eye socket and out near his ear. Another bored into his wife’s ankle. Several more punched holes in the wall near his 10-year-old son. A final blast killed the puppy. 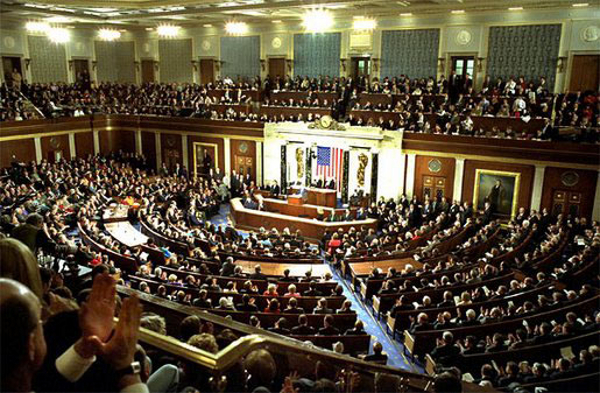 (7) the United States should continue to support the independence and territorial integrity of Bosnia and Herzegovina, peace and stability in southeastern Europe as a whole, and the right of all people living in the region, regardless of national, racial, ethnic or religious background, to return to their homes and enjoy the benefits of democratic institutions, the rule of law, and economic opportunity, as well as to know the fate of missing relatives and friends. [Passed on] June 27, 2005. TUZLA, Bosnia-Herzegovina (AP) — The first emaciated wounded and sick arrived Friday from besieged Srebrenica, leaving behind near-starvation and desperate hardship, including amputation without anesthetic. Doctors at Tuzla’s main hospital said 12 of the worst cases were flown in by Bosnian military helicopter from the Muslim-held enclave in eastern Bosnia. 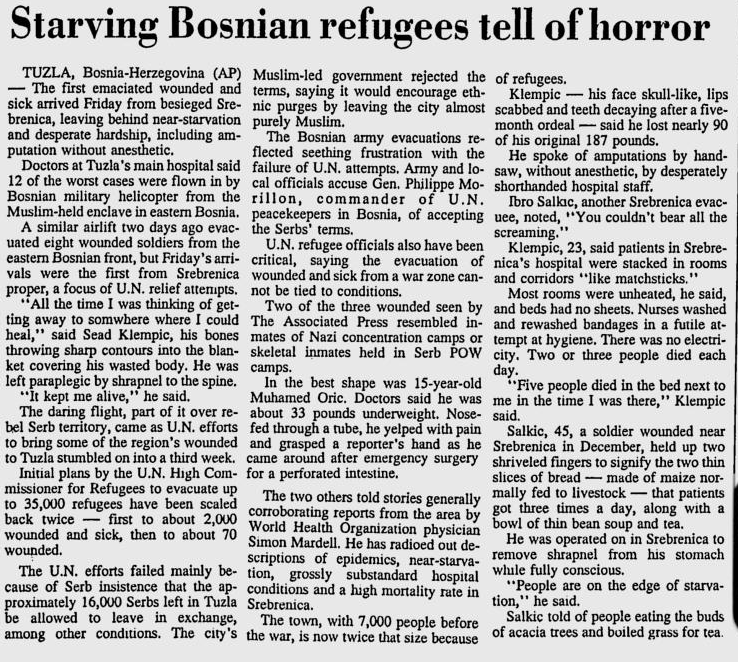 A similar airlift two days ago evacuated eight wounded soldiers from the eastern Bosnian front, but Friday’s arrivals were the first from Srebrenica proper, a focus of U.N. relief attempts. “All the time I was thinking of getting away to somewhere where I could heal,” said Sead Klempic, his bones throwing sharp contours into the blanket covering his wasted body. He was left paraplegic by shrapnel to the spine. 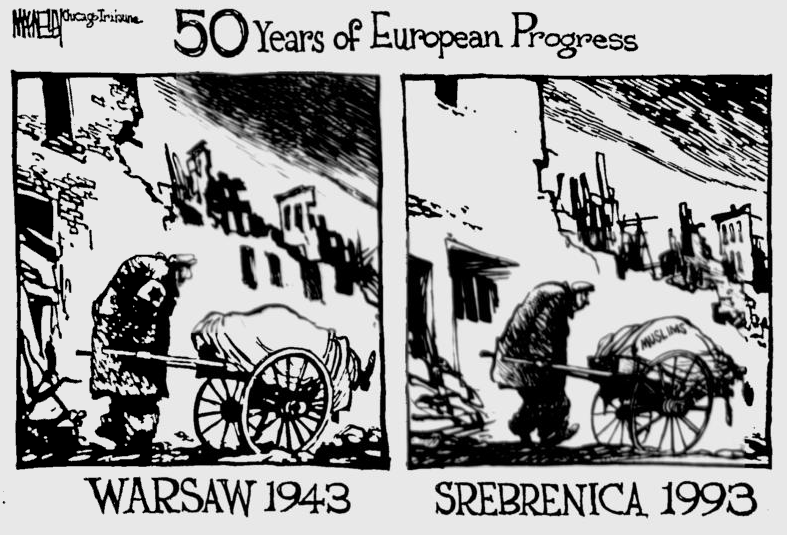 Polish Jews: In 1943, some 400,000 Jewish people were rounded up and herded into the Warsaw Ghetto. German Nazis starved them and murdered many of them – just because they were Jewish. 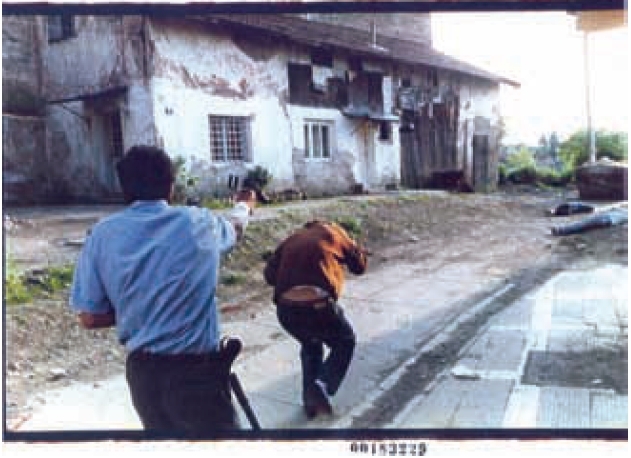 Bosnian Muslims: In 1993, some 80,000 Bosnian Muslims were herded into the enclave of Srebrenica. 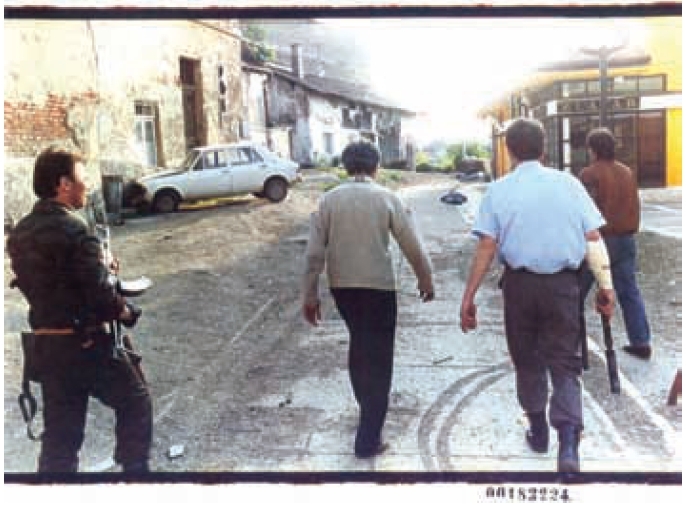 Serbs starved the Bosniak civilians, tortured them, terrorized them, and attacked them on a daily basis from nearby Serb village – just because they were Muslims. 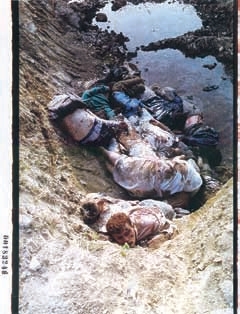 It was genocide: In 1993, two years before the Srebrenica massacre, the United Nations Security Council Resolution 819, adopted unanimously on April 16, 1993, Resolution 819 describing the situation in Srebrenica as a “slow-motion proces of genocide.” With the fall of the enclave two years later, the International Criminal Tribunal for the Former Yugoslavia and the International Court of Justice ruled it was Genocide. 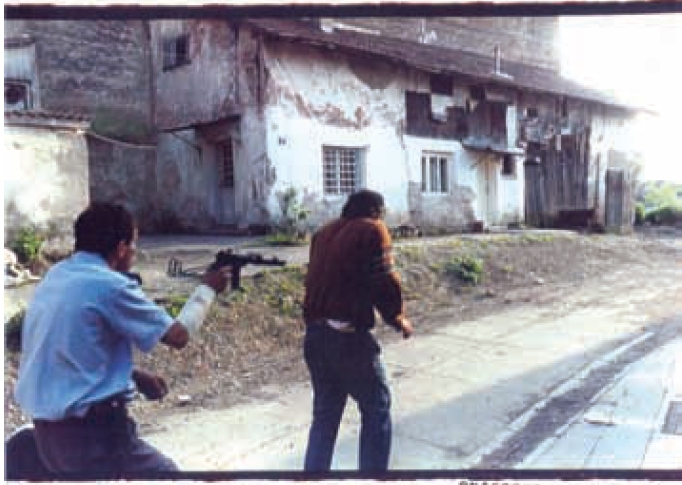 A sequence of photographs showing murders of Bosniak (Bosnian Muslim) civilians by local Serb police officer Goran Jelisic. 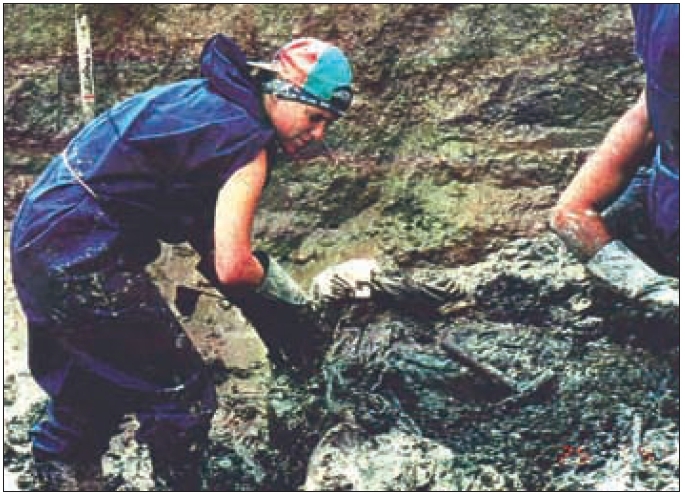 Jelisic was apprehended by a Team of US Navy SEALs (as a NATO SFOR Team) in January 1998. He was sentenced to 40 years imprisonment. 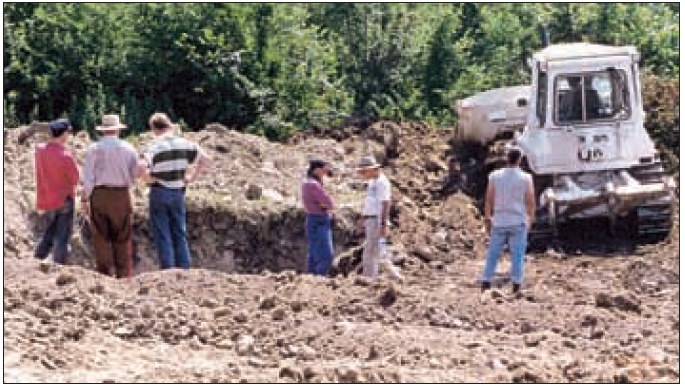 Other photographs show mass graves of more than 3,000 Bosniak residents, slaughtered by Serbs, in and around Brcko during the 1992 Bosnian genocide. 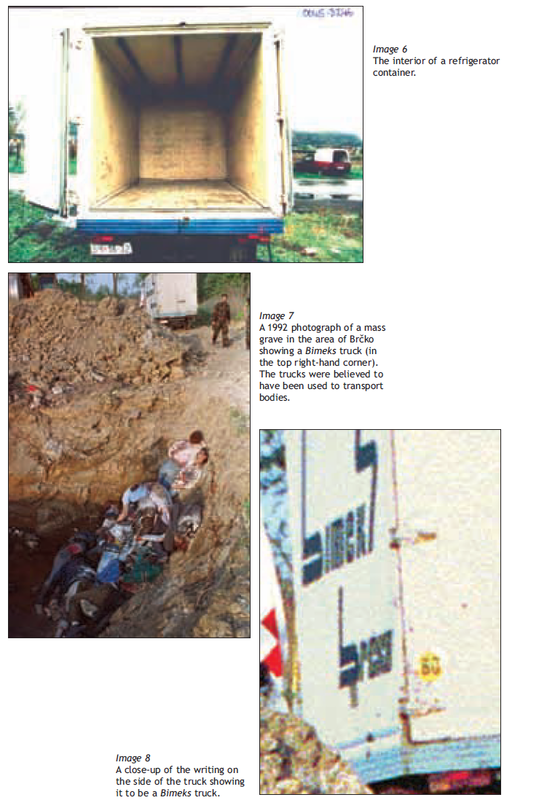 Photo evidence courtesy: The International Criminal Tribunal for the Former Yugoslavia at the Hague (ICTY).